The business has several different areas of service. 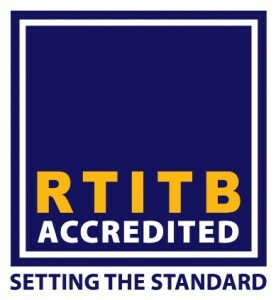 Le Strange Services has been accredited to deliver RTITB training. This will cover many areas including ForkLift driver, Plant equipment and Driver CPC. Along with the RTITB accreditation we can offer NORS (National Operator Registration Scheme) Since 2003, the National Operator Registration Scheme has been helping to reduce administrative time and cost whilst improving workplace safety and reducing the loss of skills. With our innovative certification scheme, employers and operators can be confident that they have proof that their training is genuine and accredited by a recognised body. We offer a light haulage or Man and Van service with the capacity to Carrie 14plts or payloads up to 3.6 tons and the ability to move vehicles. Be sure to like us on Facebook for the latest news and special offers! We've always got special discounts and products for sale on our Ebay page! You can see more reviews on Google. The forklift training provided by Le Strange Services was of exceptionally high quality. Mr Paul Strange provided a well organised program for the day and explained both the safety and the instructions of the machines very well. He was firm with lessons but also went out of his way to put us at ease. The course itself was highly constructive and I would thoroughly recommend Le Strange Services. We'd love to hear from you, if you have an enquiry you can telephone us on... or contact us via our online form.